Legion has been announced! I’m still reeling from it all. There is SO much awesome stuff coming in this new expansion, and I am super excited about it all. But there a couple of things I want most of all from the expansion. Firstly, I’m not going to bother recapping the content of the announcement or the info that’s been announced since – instead I suggest you visit these website to read up on it all if you’re wanting to see what’s going on. WoWhead – http://www.wowhead.com/legion This is the BEST collection of all of the information that’s known so far, and will be updated as more info comes in. I highly recommend you bookmark this page! Most important to me, though, as is always the case, is the story. And there are two key things I hope they do with the story in Legion. One of the things that I found particularly frustrating with Warlords of Draenor is just how much of the story was explained via sources outside of the game. One of my favourite podcasts, Girls Gone WoW talked about this just a couple of weeks ago, (you can listen to it here – http://girlsgonewow.net/?p=1068), and they raised this very issue. Too often there were points in the story that were better explained in accompanying information rather than in the game itself. 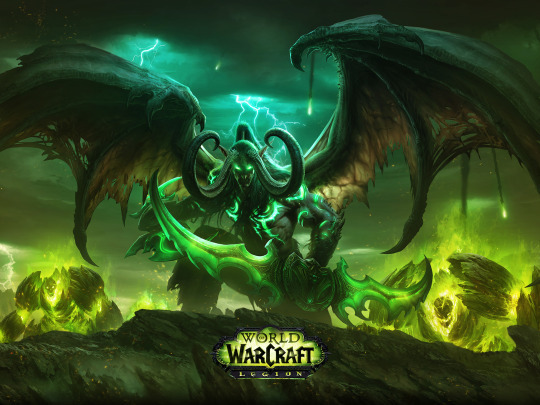 The whole WoD expansion and the reason for us going to Draenor isn’t actually explained in the World of Warcraft game – you need to read War Crimes to get the full picture. If you hadn’t read the novel (which by the way, you should – it’s fantastic!!) you really only know that Garrosh got defeated at the end of Mists of Pandaria, and that he didn’t get killed by either faction leader. Next thing you know, there are orcs coming through the dark portal, and so we go in to stop them. Towards the end of the levelling experience, we see Garrosh and unless you’d read War Crimes you might have been wondering what on earth Garrosh is doing there. To me, this is a bit of a problem, because not everyone is going to take the time to read a novel to connect the dots – nor should they have to. The novels should complement the story, not tell it. 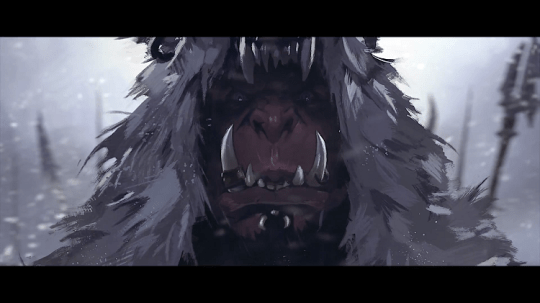 On the flip side, the Lords of War animated videos Blizzard put out telling the back story of each of the warlords was absolutely fantastic, and a really great way to know more about the characters we were about to meet. That was a perfect balance of in game story and supporting information, and is what I’d like to see going in to Legion – especially to explain some of the characters we have’t seen for awhile. There is a LOT to be covered in the new expansion, and I really hope they do it justice in the game, and not rely too heavily on outside sources to tell the story. Basically the point is that we need to feel the threat. We need to feel as if this very well could be the end of Azeroth as we know it. I agree with what this person is saying – we need to lose. Important people either need to die or get very seriously hurt. And we need to fail. It doesn’t have to be for the whole expansion – I’m not saying we need everything to be doom and gloom. But if this is going to be described as the biggest invasion Azeroth has ever seen, we need a reason to be terrified. And to be honest, I think we need a reason to fight. Winning all the time has a tendency to make us complacent. Maybe if there’s an element of risk and failure involved – that we’ll actually lose everything we have if we don’t win this – we might feel a bit more like heroes and less like Johnny Awesome. I am incredibly excited about this expansion. I know a lot of people are incredibly cynical about it, but for now I really hope people can put aside any frustrations they may be feeling and have faith that Blizzard will pull this off. And in the meantime, enjoy the art!